Home / News / Merchandise / The VKB-100 VOCALOID Keyboard is coming Winter 2017! The VKB-100 VOCALOID Keyboard is coming Winter 2017! 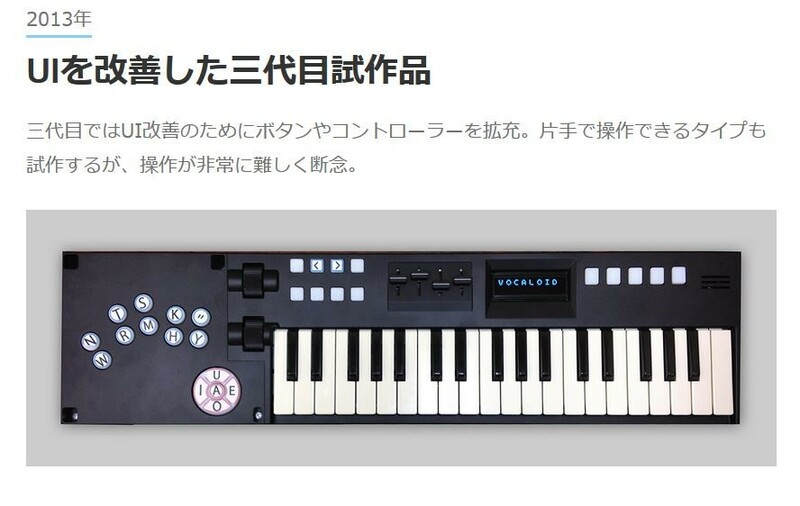 Yamaha will be releasing the VKB-100 VOCALOID Keyboard in Winter 2017! Have you ever wanted to play VOCALOID in real time like an instrument? Well, that’s exactly what the VOCALOID Keyboard can do! 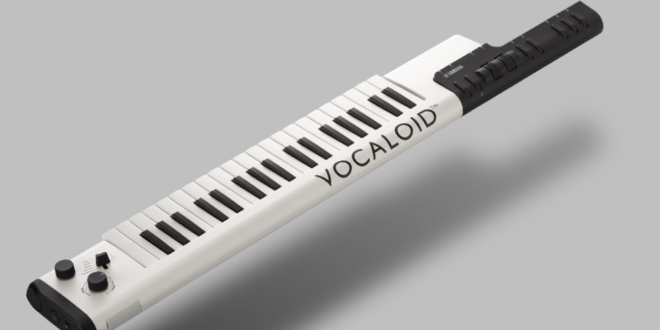 The VOCALOID Keyboard is a shoulder keyboard which serves as a two-in-one singing tool and instrument, recreating the experience of a concert performance. You first input the lyrics using an app that you can download for your smartphone, which can then be transmitted to the keyboard via Bluetooth. 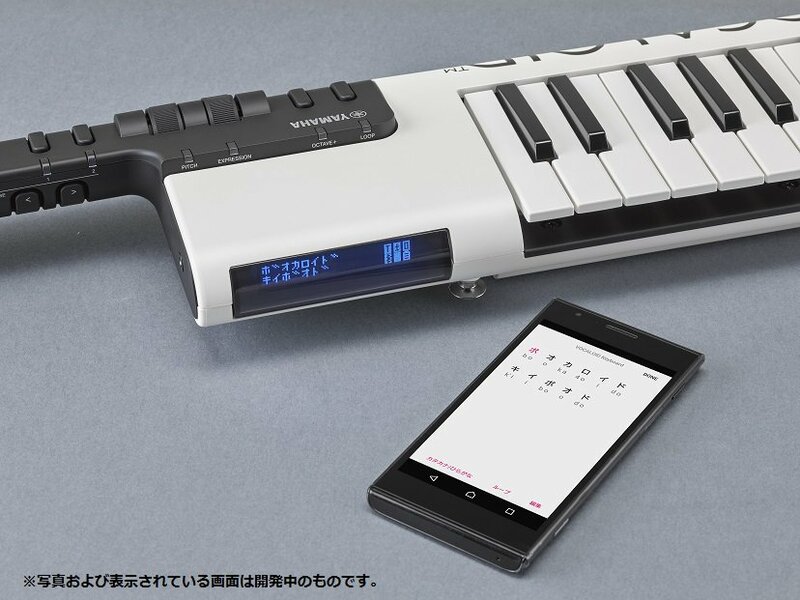 Once the lyrics have been received, you can play the song melody on the keyboard with your right hand and control the vocals with your left, using one of five available voicebanks. 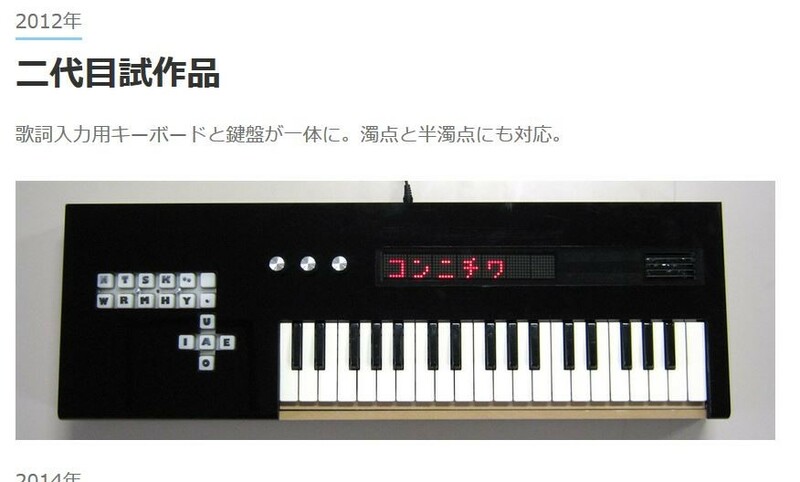 Though the VOCALOID Keyboard is set to be release this winter, it has actually been in development for many years. 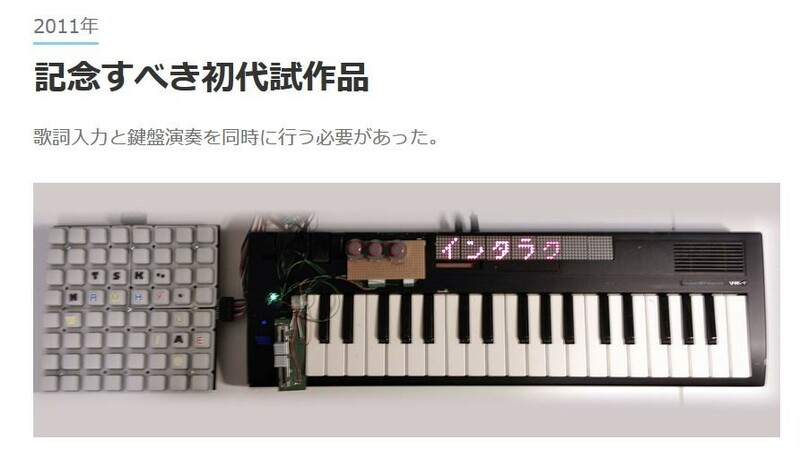 The first prototype was created in 2011, and required the user to input lyrics and play the keyboard at the same time. In 2012, the second prototype was created, which combined the lyric-input and music-playing controls onto a single keyboard surface. The third prototype, created in 2013, had an improved user interface due to the expansion of the buttons and controller sections. During this stage, Yamaha attempted to make a model which would require only one hand to play, but this proved to be too difficult to make. For the fourth prototype, the concept was completely revised. Created in 2014, this prototype allowed lyrics to be input before playing, and the shape began to take on the form of a shoulder keyboard. And after 7 years of development, the VKB-100 VOCALOID Keyboard is almost here! By default, the VOCALOID keyboard already comes with VY1‘s voicebank so you can start playing immediately. However, if you want more variety, there are four more voicebanks for you to choose from. So you know, the first extra voicebank that you choose to add through the smartphone app will be free of charge! Of course, you can still buy more to add to your collection after that. 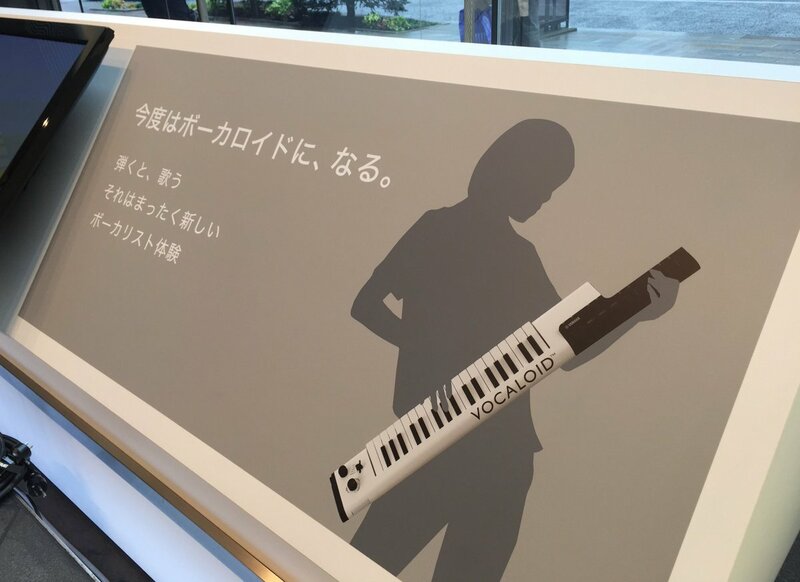 Yamaha has been providing demonstrations of the VOCALOID Keyboard at various events in recent months. Members of the public could attend these events and see the keyboard in action, and even get to try it out for themselves! 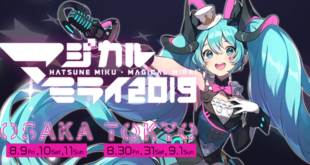 The first of such events was Magical Mirai 2017 from September 1st through the 3rd, where Yamaha had a special booth set up for visitors to give the VOCALOID Keyboard a go. Even the Akiba Plastic Orchestra was there to perform with the VOCALOID Keyboard! At the annual Each of Voice summit (site of the IA Revolution IV, Zunda Party 4, CeVIO SUMMIT, and Kotonoha’s Festa doujin fairs) held at Kawaguchi City on September 9th, representatives from the AHS Store were present to sell some of their wares. They also had on hand a VOCALOID Keyboard decorated with Yuzuki Yukari decals, which was the first time that the public got to see the keyboard with a special design! 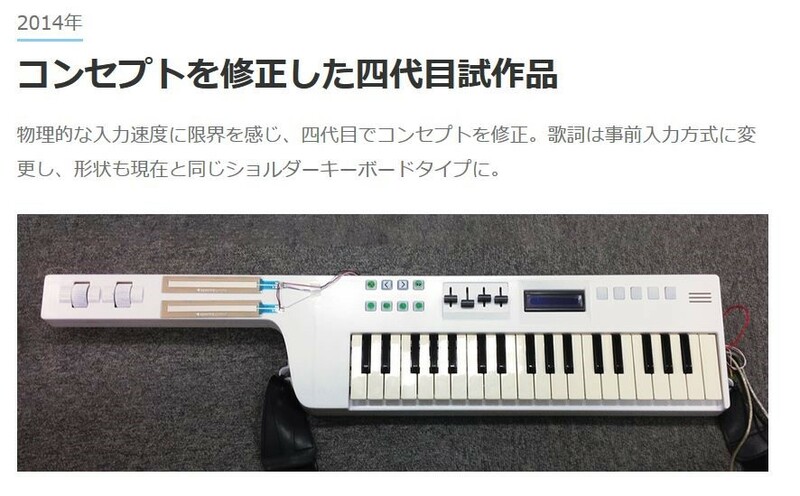 On October 3rd, AHS held a special livestream in which Tomohide Ogata demonstrated all the different parts and features of the VOCALOID Keyboard. When it was all said and done, he even performed mini jam session on it! The full livestream can be watched here on the AHS Fresh! channel. The VOCALOID Keyboard section begins at 1:28:27 into the episode. 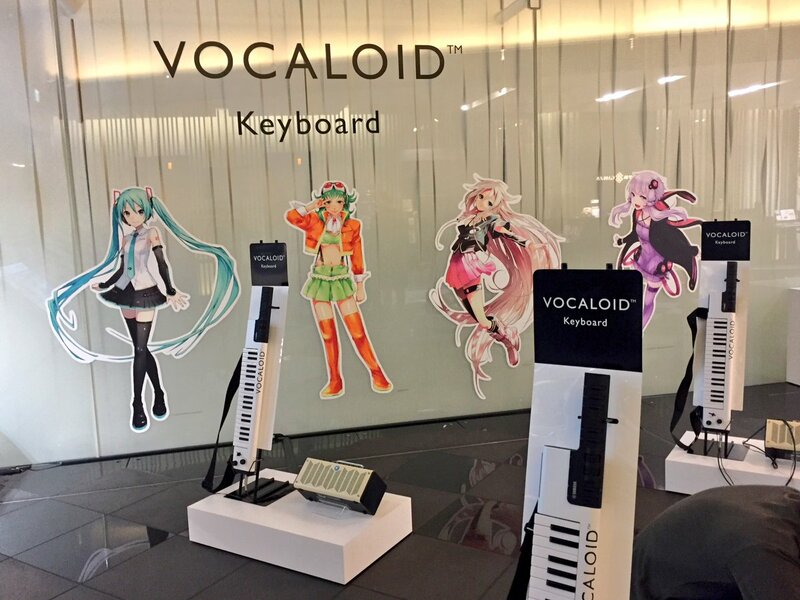 Finally, from October 11th through the 22nd, Yamaha held a special trial party for the VOCALOID Keyboard on the first floor of the Yamaha Ginza Building. Other locations for the trial party included the Akihabara UDX and the 2017 Ochanomizu Musical Instrument Festival on the 22nd. Each event location was free and open to the public. Furthermore, special guests at the event included none other than out of service! 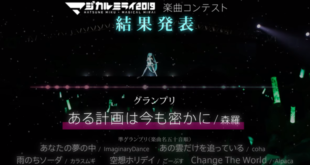 The well-known band from 1st Place was there to perform using the VOCALOID Keyboard set to IA’s voice! 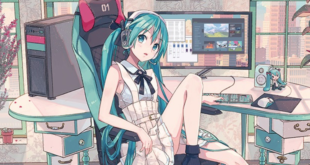 On November 11th, the “Anime Song Symposium supported by VOCALOID Keyboard” will be taking place at the Digital Hollywood University, hosted by Masayoshi Oishi, [email protected], and mito. Tickets to the event can be acquired for free here. 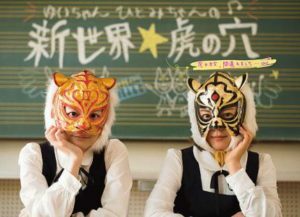 Then on the very next day, November 12th, Yui Niitsu and Hitomi Azuma will be holding the “New World★Tora no Ana Extracurricular meets VOCALOID Keyboard” show at the same location. Tickets to the event can be acquired for free here. At both events, the hosts will be teaching attendees how to use the VOCALOID Keyboard to create their own music, and get them geared up for the keyboard’s release in December! Stay tuned to VNN as the release date for the VKB-100 VOCALOID Keyboard draws near, and more events are announced! Previous VOCALOID Cosplay Event at Halloween Cosplay Festival by NicoNico and Animate! Next MEIKO 13th Anniversary Goods at Animate and Movic!